Front row left to right: Violet Dineen, Olivia Stubbs; second row: Jaidyn Stuart, Cassidy Carr, Paige Lessard, Shelby Pettengill, Victoria Siering. 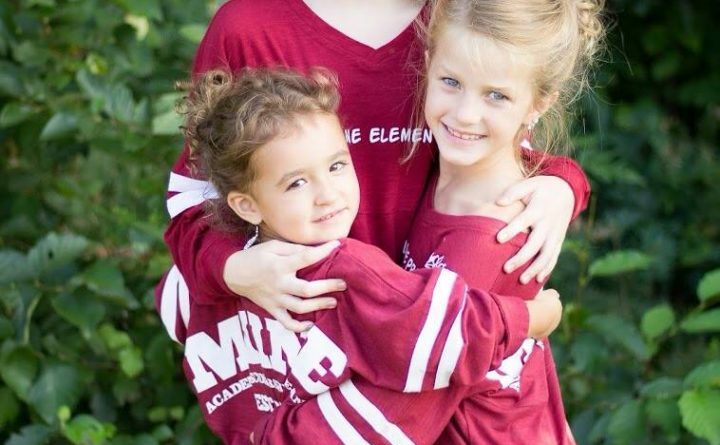 Left to right: Emma Dolan, Anglee Brewer (middle/back), McKenna Perry. BIDDEFORD — Eighty-six Maine women and young ladies vied for their respective titles to compete nationally for more than $300,000 in prizes and scholarships during the 10th annual Maine Academic Scholarship Pageant and Green Carpet fundraiser event held Aug. 19, at Biddeford Performing Arts Center. During their rein, they will have the opportunity to represent the Unite Against Bullying ME Crown C.A.R.E.S project in Maine Schools and performed more than 12,000 hours of community service in the state. The titleholders will be traveling to Disney in Orlando, Florida, in July 2019 to compete for the national titles and Springfield, Mass., for American Women of Service. Shelby Pettengill, 22, was crowned the 2019 USA National Miss Maine. Pettengill is the daughter of Cheryl Pettengill of Westbrook and Russell Desjardins of Gorham. She is a graduate of Westbrook High School and Spa Tech Institute where she studied what is esthetics. She now works in the southern Maine area as a professional licensed makeup artist and esthetician. When she is not working, she enjoys spending her time helping teens build their self-confidence at the My Place Teen Center in Westbrook. She also volunteers giving makeovers at the Florence House in Portland and The Look Good Feel Better Organization. She is excited to be promoting the Crown C.A.R.E.S this year, creating a respectful environment in schools. The first runner-up was Emerson Spaulding. 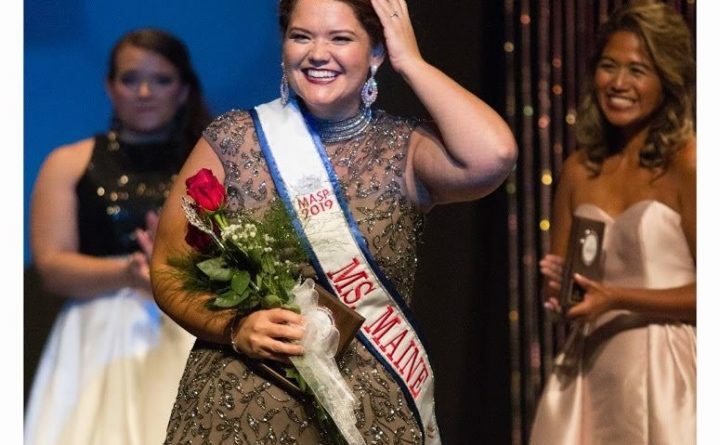 Paige Lauren Lessard, 18, was crowned the 2019 USA National Miss Maine Teen. A recent graduate of Biddeford High School, Paige is beginning her first year as a premed student at the University of New England in Biddeford Pool. She enjoys a variety of community service and donates a significant amount of her time to volunteer work. Along with the state title, she was awarded the Gold President’s Volunteer Service Award. Paige is the daughter of Michelle and Dean Lessard both of Biddeford. First runner up was Lillie Mahan of Mars Hill. Cassidy Carr, 14, was crowned the 2019 USA National Miss Jr. Teen. She will be entering the high school as a freshman at Calais High School and is the daughter of Mark and Shannon Carr. Carr plays flute in her school band and participates in many school sports and extracurricular activities. She is an avid volunteer in her church, community, and works diligently to support the Crown C.A.R.E.S. platform. Carr has also created the Perfect Pillow Project which donates pillows and blankets to those facing difficult times providing a soft place to rest. The Perfect Pillow Project has donated to the Next Step Domestic Violent Project and to the American Red Cross Pine Tree Chapter. Carr is excited about the upcoming year and looks forward to bonding with her sister Queens while they work hard to make a difference in their communities and their state. First runner-up was Jayde McKenney. Victoria Elisabeth Siering, 12, was crowned the 2019 USA National Miss Maine Preteen. She is currently a seventh-grader at Woodland Jr.-Sr. High School in Baileyville. She enjoys spending time volunteering and doing community service. Along with winning the state title, Siering also was awarded the Gold Presidential Volunteer Service Award. She is the daughter of Kristofer and Tina Siering of Baileyville, and granddaughter of Ed and Judy Siering of Woodland, and Claudette and the late Bryant Babin of Fort Kent. First runner-up was Anglee Brewer. Violet Teresa Dineen, 7, was crowned as the 2019 USA National Miss Princess. She is currently in the third grade at Calais Elementary School. dineen is an avid volunteer and enjoys being active in her community. Her passions include cheerleading and dance. She is a third-year student at Barbara’s International School of Dance where she studies tap, ballet, baton and belly dancing. Violet is the daughter of Wanita Thibodeau and Patrick Dineen of Meddybemps. First runner-up was McKenna Perry. Olivia Raine Stubbs, 5, was crowned the 2019 USA National Miss Maine Jr. Princess. Entering Kindergarten at Daniel W. Merritt school, she enjoys doing community service, making friends, and spending time with her parents and four siblings. Her hobbies include farming and coloring. Along with the state title, she was awarded the President’s Volunteer Service Award. Stubbs is the daughter of Jessica and Joshua Stubbs of Addison. First runner-up was Emma Dolan. Jaidyn Paige Stuart, 13, was crowned 2019 USA National Miss Pine Tree State. She is an eighth-grader at Strong Elementary School. She enjoys singing, soccer, basketball, softball, football and writing. Stuart is a Cadet Girl Scout and takes pride in her volunteer work for her community. She received the Gold Presidential Award. Stuart is the daughter of Elizabeth Eaton of Strong. Katherine Sivret 28, of Alexander was crowned the 2019 MS Maine American Women of Service. She was also chosen by her peers as Miss congeniality. Prior to her current career with the Department of Homeland Security, Katherine served in Thailand for 27 months with the Peace Corps. She is dedicated to serving others through volunteering at various organizations and events throughout Maine and has served internationally on many mission trips independently and with her family. Katherine enjoys dancing, traveling and practicing her Thai. She is passionate about working with military families and refugees. Katherine is a 2013 graduate of Columbia University with a Masters of Science in Social Work and a 2012 graduate of the University of Southern Maine with a Bachelors of Arts in social Work. She is the daughter of Sherry and David Sivret of Alexander. First runner-up was Chanbopha Himm. Emma Dolan of Van Buren was crowned Miss Maine Preschool; McKenna Perry of Cherryfield was crowned Miss Primary; and Anglee Brewer of New Sharon was crowned Miss Elementary. The three young ladies will represent the Young American Women of Service, which is a noncompetitive community service based program for females age 4 up. YAWOS was founded to empower all women across the country to become the best version of themselves possible through service. The mission is to encourage youth to serve in their communities and to create a positive, encouraging, and empowering sisterhood of youth and teens who are interested in motivating others through community and civic involvement, as positive role models through service. The service platform is to promote and educate the community of bullying prevention and positive social behaviors at any ages and in all areas of life. USA National Miss Scholarship Pageant has been named the No. 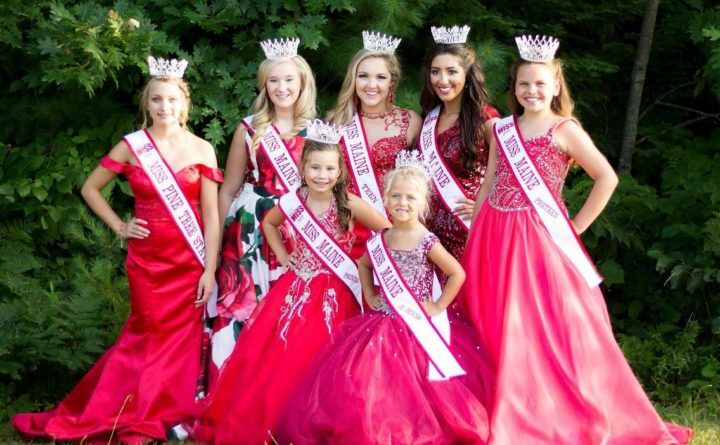 1 pageant in the United States by Pageant Planet and the Maine pageant has been named in the top two state pageants and top two state directorship going to executive director and Crossroads president, Deb Landry. American Women of Service, in its third year, a program of Crossroads, was named in the top 10 programs for women. For information on the pageants, school visits, appearances and volunteering visit the website at www.crossroadsproductions. me, www.missmainepageant.com or UniteAgainstBullyingME.org.